An intimate, revisionist portrait of the early years of Fidel Castro, showing how an unlikely young Cuban led his country in revolution and transfixed the world. This book will change how you think about Fidel Castro. Until now, biographers have treated Castro’s life like prosecutors, scouring his past for evidence to convict a person they don’t like or don’t understand. This can make for bad history and unsatisfying biography. Young Castro challenges readers to put aside the caricature of a bearded, cigar-munching, anti-American hot head to discover how Castro became the dictator who acted as a thorn in the side of US presidents for nearly half a century. These pages show Fidel Castro getting his toughness from a father who survived Spain’s nasty class system and colonial wars to become one of the most successful independent plantation owners in Cuba. They show a boy running around that plantation more comfortable playing with the children of his father’s laborers than his tony classmates at elite boarding schools in Santiago de Cuba and Havana. They show a young man who writes flowery love letters from prison and contemplates the meaning of life, a gregarious soul attentive to the needs of strangers but often indifferent to the needs of his own family. These pages show a liberal democrat who admires FDR’s New Deal policies and is skeptical of communism, but is also hostile to American imperialism. They show an audacious militant who stages a reckless attack on a military barracks but is canny about building an army of resisters. In short, Young Castro reveals a complex man. 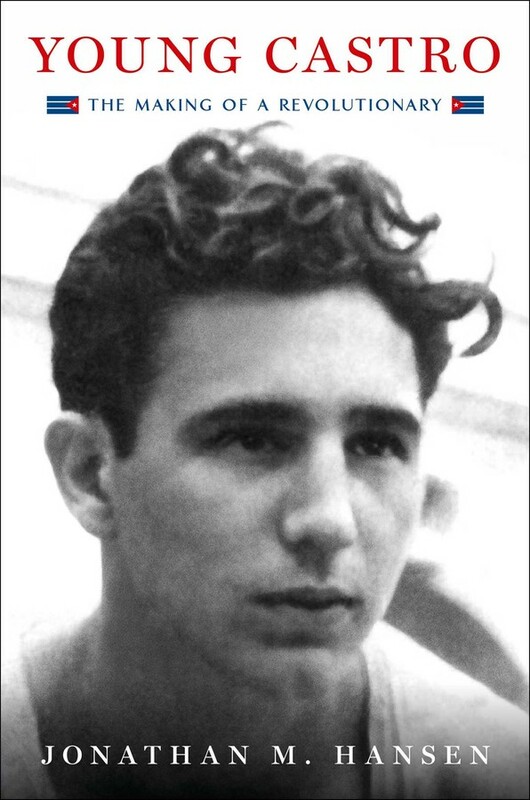 The first American historian in a generation to gain access to the Castro archives in Havana, Jonathan Hansen was able to secure cooperation from Castro’s family and closest confidants, gaining access to hundreds of never-before-seen letters and to interviews with people he was the first to ask for their impressions of the man. The result is a nuanced and penetrating portrait of a figure who was determined to be a leader—a man at once brilliant, arrogant, bold, vulnerable and all too human. A man who, having grown up on an island that felt like a colonial cage, was compelled to lead his country to independence.